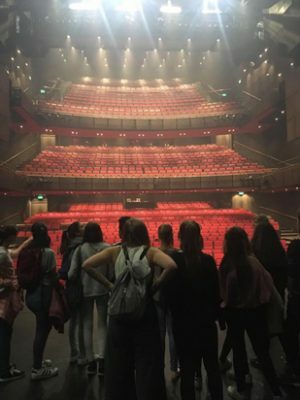 GCSE dance students enjoyed a backstage tour of Sadler’s Wells in advance of seeing Hofesh Shechter’s new work, Grand Finale. Retired dancer Lucy Moelwyn-Hughes, who works for the company, arranged the visit. She also delivered a Bright Ideas talk about life as a professional dancer and beyond, providing an exciting and rare insight in to this career path.